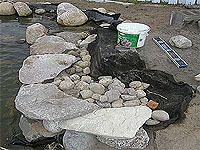 Plan an excess of pond liner for making your pond waterfall. First, choose the location. You can install waterfall on hill or slope. Excavate the upper pool and build the foundation with concrete blocks before laying rubber and stacking stones. 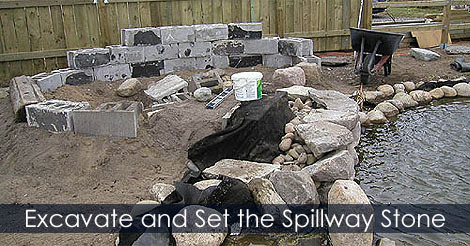 Select large flat stone for setting the waterfall spillway. 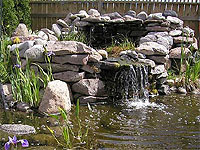 Learn how to plan and design your pond waterfall.